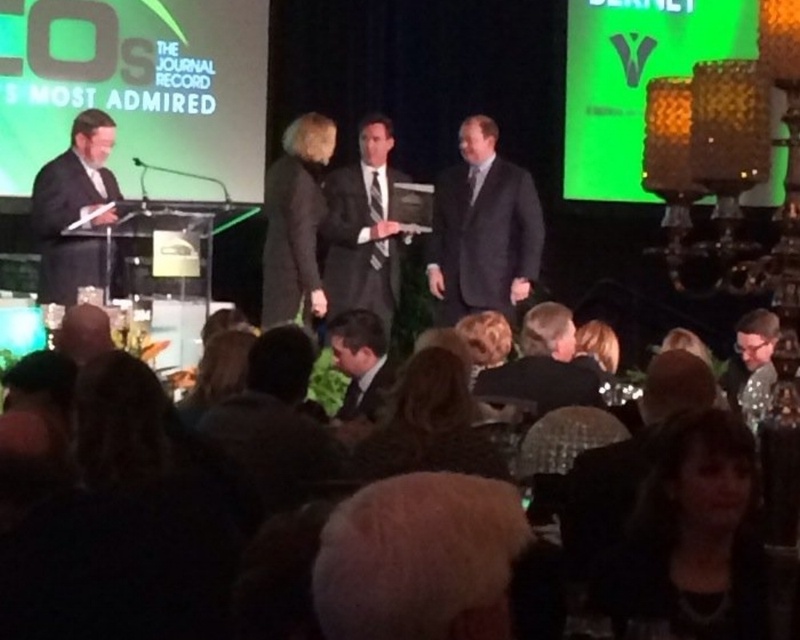 OKLAHOMA CITY – Thirty-two executives were recognized Thursday night at The Journal Record’s fifth annual Oklahoma’s Most Admired CEOs event at the Skirvin Hilton Hotel in downtown Oklahoma City. Michael Kloiber, president and CEO of Tinker Federal Credit Union, was also inducted into the program’s Chain of Distinction as a three-time honoree. Kloiber and the other honorees were selected by a panel of business and community leaders and are profiled in the Oklahoma’s Most Admired CEOs magazine inserted in Thursday’s issue of The Journal Record. Following is the list of the CEO honorees by category. Mark Funke, Southwest Bancorp/Bank SNB. Gary Allison, Tri-State Industrial Group. Tim Berney, VI Marketing & Branding. Becky Frank, Schnake Turnbo Frank. Michael Kloiber, Tinker Federal Credit Union. Faye Norton, Designer Hardware by Faye. Robert “Bob” Peterson, Melton Truck Lines. Shawn Slaton, Cherokee Nation Businesses. Carrie Brown, Payne Education Center. Marci Donaho, Jasmine Moran Children’s Museum. Mark Graham, Tulsa Area United Way. David Keith, McAlester Regional Health Center. Sandra Lewis, Tulsa Day Center for the Homeless. Connie Thrash McGoodwin, Dale Rogers Training Center. Stacey Ninness, Neighborhood Services Organization.